Review sample provided by Angolz.com. Check out their site for this and much more. 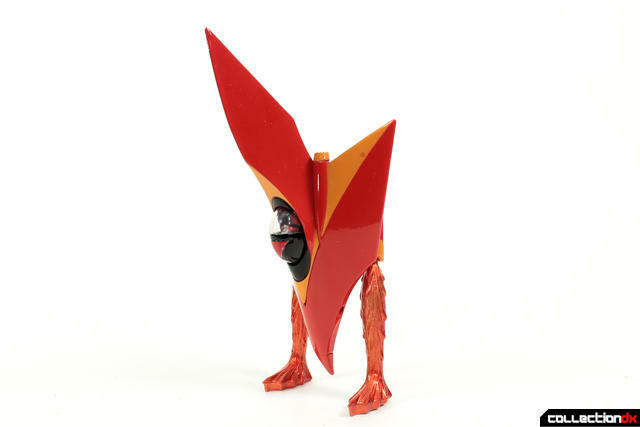 Evolution Toys is known for their cool magnemo toys that aside from the magnetic joint were completely plastic. This was a turnoff for many. However their Metal Action series has decided to add some metal to their offerings. The line so far consists of vehicles. This is release number 2 of 3 so far. The set comes in a colorful big box. The contents seem small in relation to the size of the box. 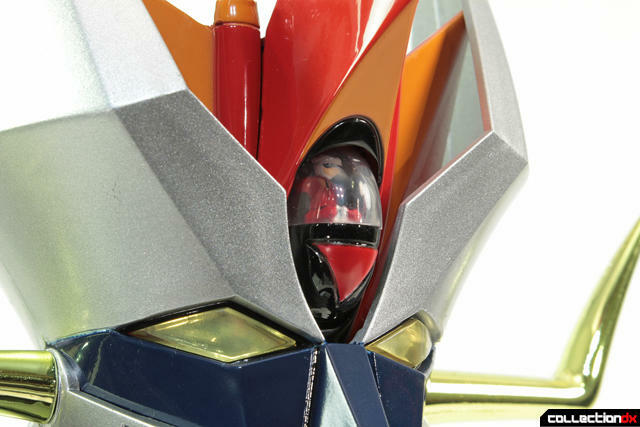 Here is Great Mazinger's head which is constructed of plastic. It's about 5" in height when all is said and done. 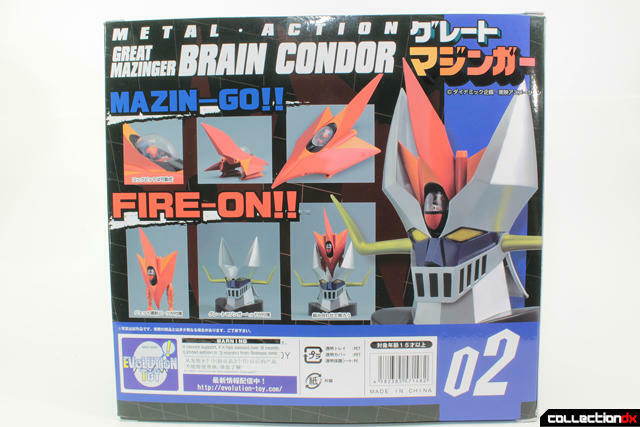 The remaining pieces are the Brain Condor itself and some effects parts. 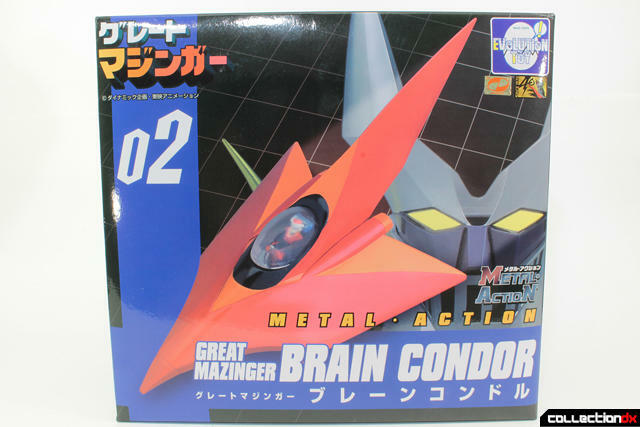 The Brain Condor, while smallish is rendered in my most favorite of all materials. Metal. 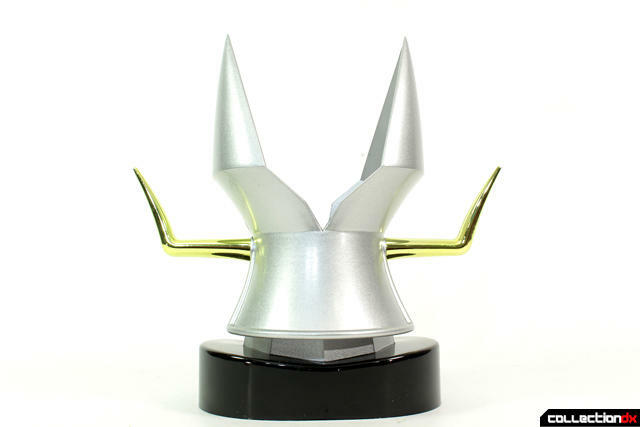 The paint applications are top notch and highly polished. 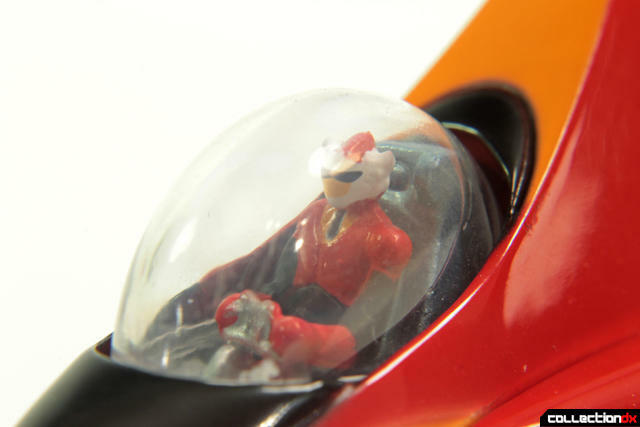 For it's size, it has a nicely detailed interior with a clear plastic dome. 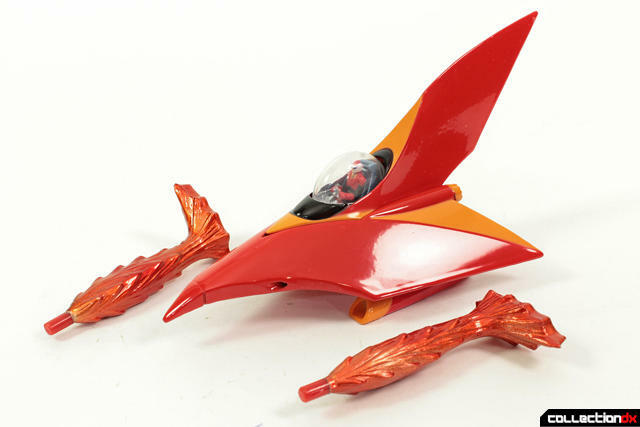 The effects parts attach to the booster which only help in making the Brain Condor look like a strange bird standing on two legs. Its hard to ignore the "feet". While I see what they tried to do, it's not at all convincing and highly unstable to leave as is. The effects parts can also be installed while in docking mode. I had to rig it to stay because it is even more unstable than setting it on a table. As far as I could tell, there is no way to properly secure it. However, when fully docked, it stays secure in the upright position. You'll notice while docked that the little Tetsuya Tsurugi is facing forward as he should be. 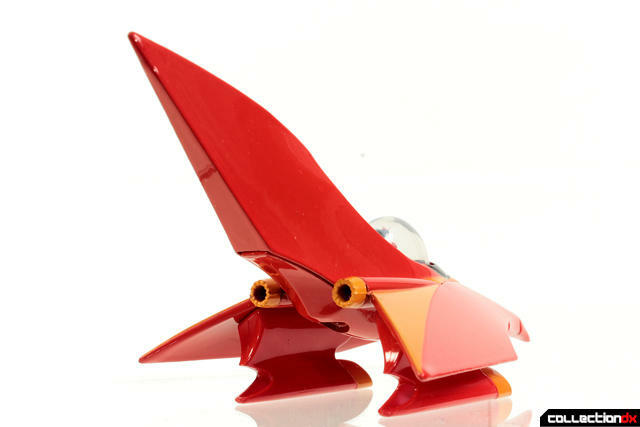 The cockpit is weighted to always balance itself in an upright position. 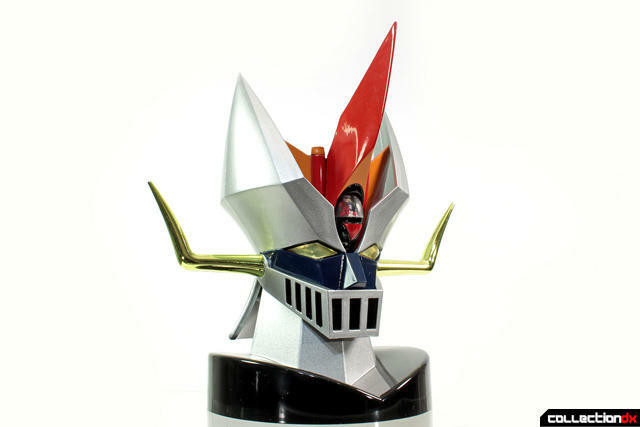 I made it a point to not extend my Go Nagai collection outside Mazinger Z himself but it seems like Great Mazinger is also growing on me. 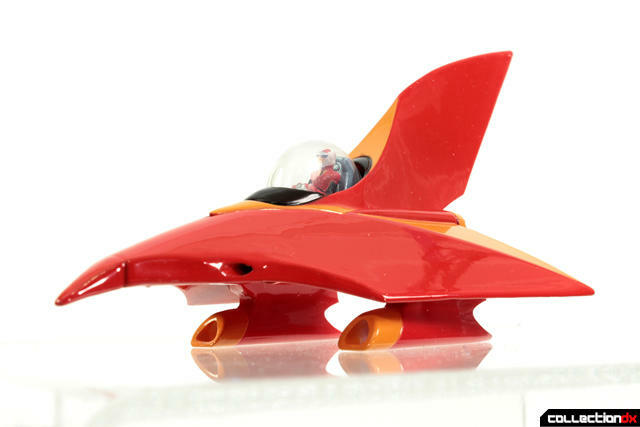 This set is a little pricey for what it is as are most Evolution Toy releases. Aside from the poorly executed effects pieces, the set is very well made and detailed. 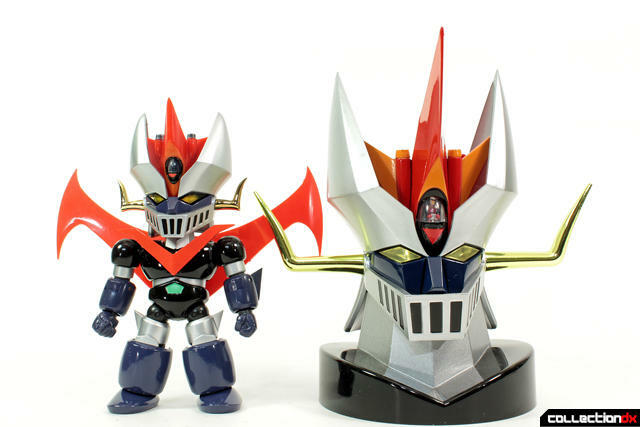 Here he is with the ES Gokin Great Mazinger. 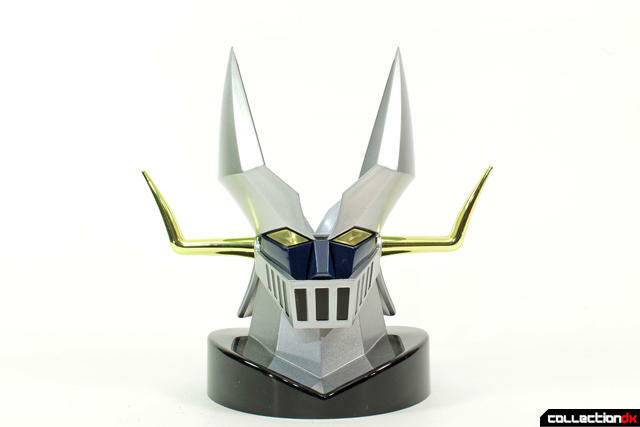 I will pay you ridiculous amounts of money if you make a Metal Action Mazinkaiser SKL head with Skull Pilder with a function to switch the pilots the way the cockpit worked in the anime. 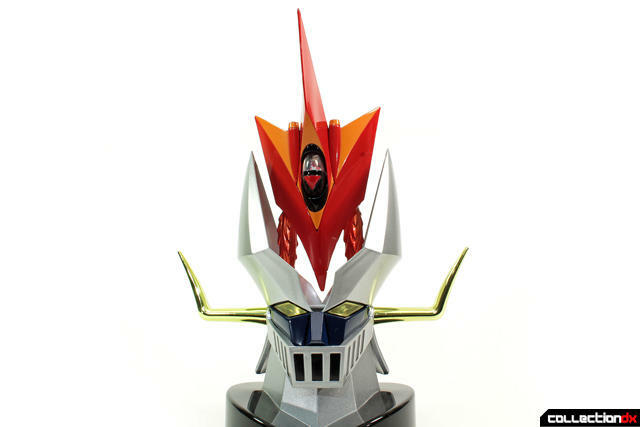 PS: I'd be cool with a full Metal Action Mazinkaiser SKL figure as well since Bandai doesn't seem to be rushing to make an SOC.